State Representative Anne Dauphinais was re-elected to her second term in November 2018 to proudly serve the 44th General Assembly District representing the towns of Killingly and Plainfield. For the 2019 and 2020 legislative sessions, Rep. Dauphinais was appointed by House Republican Leader Themis Klarides to serve as Ranking Member of the legislature’s Housing Committee. She will also serve on the Appropriations and Public Safety Committees. Anne is also as a member of the Conservative, Fire/EMS, Rural, Sportsmen’s, Intellectual and Developmental Disability, and Women’s Caucus’. Prior to being elected, Anne served for more than 25 years in the health care industry, most recently in the Specialty Medicine Division as a Sales Consultant for Novartis Pharmaceuticals. She has also served as an in-home private nurse and a pre-release Case Manager for the Department of Corrections. Her community involvement includes time as a Republican State Central Committee representative for State Senate District 29 along with serving as an advocate for victims who have experienced a post traumatic brain accident. She has also volunteered for the Special Olympics, various Veterans fundraisers, and local food pantries. 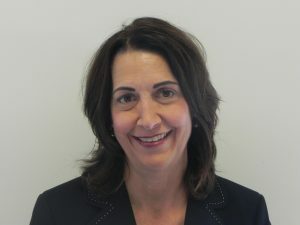 She has received a Bachelor of Arts Degree in Sociology from Eastern Connecticut State University in Willimantic, Connecticut. Rep. Dauphinais has resided in Killingly with her husband for most of her life, having graduated from Killingly public schools. In her spare time she enjoys spending time with their four children and their four grandchildren. She is also an avid gardener, enjoys traveling, skiing, and has even been skydiving.